We follow Liam Klenk’s tumultuous journey to find his authentic self and happiness against more than a lifetime’s worth of adversities. At five months old, Liam was adopted from an orphanage and ushered into a unique journey. Liam Klenk has travelled around the world, enjoyed a variety of careers and lived in many countries. He was propelled on his seemingly relentless travels by a quest for understanding of himself, the world around him and the cultures that he interacted with along the way. What is 18 - 9 ? fantastic book and life story of an incredible person! A beautifully written, heartfelt story. I would love this book to win. Once you started to read - you can't stop!! Excellent work! What an eventful life! A candid, fascinating and moving narrative. Liam struggled so much over so many years, yet never wavered in striving for his aims - and finally achieved all he desired. As a man he may be of average size, but in character a real giant. Readers cannot but take their hat off to him! A lovely book on the importance of grabbing your life and shaping your own destiny! a truly amazing story - it makes you laugh, cry and surprises you in the next moment. I enjoyed it a lot and would highly recommend it. Excellent writer and community advocate. This story is a must read! An amazing and true story of one person's struggle, survival, and success. Highly recommended. An absolutely brilliant book. I could not stop reading. a wonderful story of a brave man! Love this book - a really amazing story and really beautifully written. Awesome book from a very inpiring author! this wonderful book is so full of live and uplifted me in many ways. i loved to read it! Extraordinary autobiography of a remarkable human being. Heartwarming, uplifting, and thoroughly spellbinding story. A brilliant book about a wonderful person. What a story ... written by a great story teller. Fascinating, amusing, emotional and totally honest. One of the best autobiographies I have ever read. A must read. painfully honest and authentic, touches deeply. This truely inspiring and engaging book is very well written. I throughly enjoyed reading about the authors incredible journey. My only critisim is that it ends in the present day so I will have to wait a while for the next instalment!! Loved this book. Such a brave man and a positive outlook on life. Paralian - not just transgender is an excellent read. It was high time for someone so talentet to touch the topic. Well done! By focusing on emotional empathy and open mindedness, Liam has achieved what many transgender won't ever achieve due to stigma and conditioning. Paralian is not just a story of someone finding his "authentic self" but a story of hope where many are discriminated, and become suicidal. The story is about choosing life, about acceptance and understanding what can and cannot be changed. I read this book in three days. 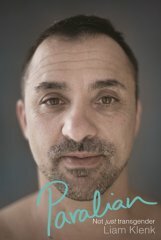 What an inspiring man and a beautiful story of hardship that doesn't read like a sob story - despite the challenges, the author shows that life is for living and can be truly amazing. Uplifting, turbulent, amazing life journey and a very unusual, honest, bold transgender life story. Highly recommended!! !